CF&G is a family owned grain elevator in Clinton, Iowa. With an experienced staff we support the local area with a variety of products and custom application products. For a beautiful lawn, we carry a variety of grass seeds and lawn fertilizers. Don't forget to get weed killer, crab grass preventer and insect sprays for the great outdoors. 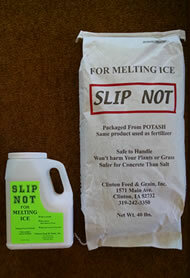 For the winter time we have Slip Not (potash) for melting snow and ice, but safer for your concrete and grass. We bag corn, oats, horse feed, and calf builder using locally grown grains. Other varieties of feeds we carry include: pelleted senior horse feed, farm pond fish food, chicken, duck & goose feed, dog & cat food. We have available pine shavings, straw, and corn cob pellets for animal bedding. We maintain the largest selection of bulk bird seed in the area. Save money by buying 25 or 50 pound bags to keep the hungry birds happy. Choose from Black Oil or Stripe Sunflower, Sunflower Hearts, Safflower, Thistle, a deluxe mixture, and peanuts in the shell or out of the shell. Squirrels will enjoy the locally grown ear corn available by the bag of 12 or 50 ears. Check out our variety of quality feeders for all kinds of birds… cardinals, finches, woodpeckers, hummingbirds & more. 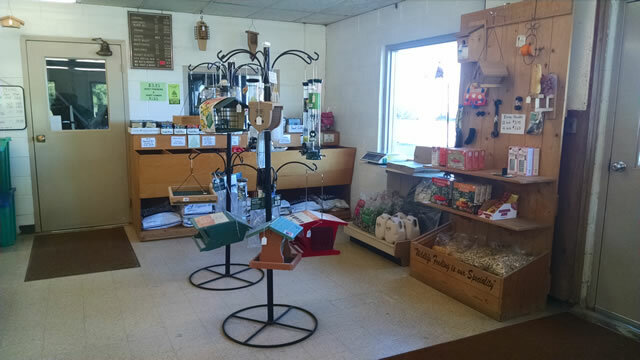 We carry feeders made by Aspects, Woodlink, Birds Choice, Droll Yankees and more. 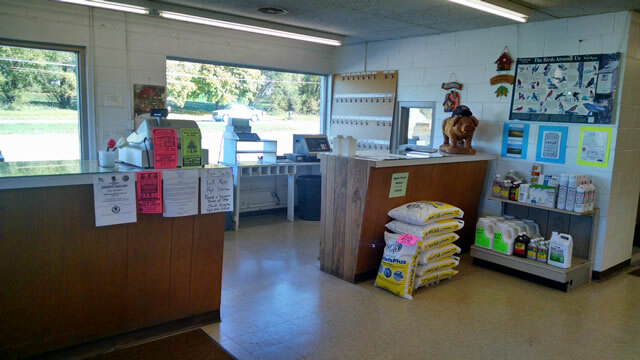 Clinton Feed & Grain would like to thank all of our Storefront customers for their loyalty and business for almost 25 years. We will be closing the Storefront Business. The Grain Business will continue to operate. 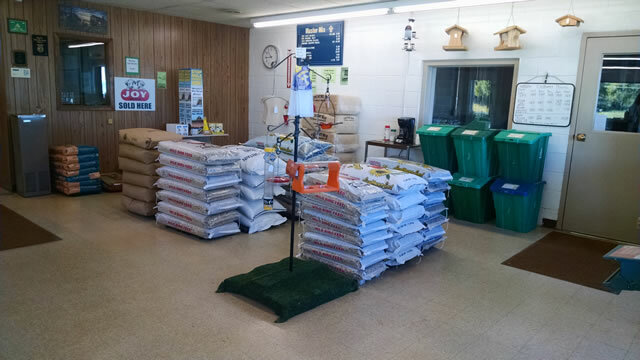 The days of selling bird seed, supplies and lawn seed will come to an end for us on MAY 10, 2019. Stop in and help us clear out our inventory before then. We package a natural ice melt product from POTASH fertilizer. Safer for your concrete, and you can sweep the extra onto your lawn as fertilizer. We have 40# bags and 10# jugs available. We welcome your input on what additional products or services you would like us to offer. We've changed ClintonFeed.com! We've updated the look and feel of our website along with updating the way you can contact us. For your convenience you can send us your email request 24/7 and our staff will answer your inquiries in less than 24 hours. Should you need immediate assistance, we are available during regular business hours. Need More Information ? Write Us.